Who will be World Cup’s top goalscorer? 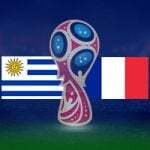 The 2018 World Cup is sure to be fiercely competitive, with numerous top nations in with a chance of winning football’s ultimate prize. The tournament also offers the world’s best forwards the opportunity for personal glory as they battle to be the top goalscorer and win the Golden Boot. The top scorer betting market is one of the most popular both before and during the World Cup, as punters try to predict who will be the most prolific player during the tournament. So who will be the World Cup’s top goalscorer? At Bettintop10 we have compiled a list of the players who are amongst the favourites to win the Golden Boot. The French star has had another stellar season with Atletico Madrid, scoring 29 goals in 49 appearances in all competitions and helping the club win the Europa League. He has grabbed 19 goals in 51 matches for his country, including six goals at the European Championships in 2016. He is 12/1 to win the Golden Boot. The likes of Kylian Mbappe, Olivier Giroud and Ousmane Dembele give France plenty of attacking options, so Griezmann will need to hit the ground running during the group stage if he is to have an impact on the top goalscorer charts. Who won the Golden Boot in 2014? James Rodriguez scored six goals in five matches for Colombia. Who has scored the most goals at the World Cup finals? German striker Miroslav Klose is the all-time leading goalscorer with 16 goals in 24 matches. French player Just Fontaine scored 13 goals in six games during the 1958 World Cup. Hakan Sukur scored Turkey’s first goal after just 10.89 seconds against the South Korea in 2002. How many goals have been scored in the World Cup in total? Over 2,300 goals have been scored between the 20 World Cups that have been held to date (excluding penalty shoot-outs). Who is the oldest player to have scored a goal in the World Cup? Cameroon’s Roger Milla was 42 when he scored against Russia in 1994. Has any player scored in every match including the final? Alcide Ghiggia of Uruguay in 1950 and Brazil’s Jairzinho in 1970 scored in every game including the final. Your are here » Betting Sites » World Cup 2022 Betting » World Cup Predictions » Who will be World Cup’s top goalscorer?